Primary schools pupils from Carrickfergus have gained an insight into movie-making as part of an international cinematic festival. Some 550 students from Carrickfergus and Larne participated in Cinemagic’s World Cinema Day in March. With pupils from Eden Primary, St Nicholas’s Primary, Acorn Integrated and Woodlawn Primary schools taking part, children had the chance to view the Japanese animation, Ponyo, from acclaimed production company Studio Ghibli. The young people heard about world cinema and film reviewing with pupils giving their reviews and feedback to Cinemagic after the screening. Representatives from JAM Media animation studio gave pupils an insight into animation filmmaking and talked to the young people in Larne Omniplex about the various roles in the film industry. 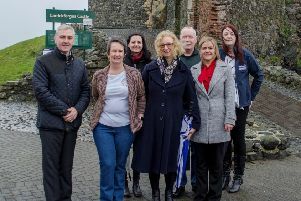 Meanwhile, the investment programme allowed Cinemagic and AES to extend their reach to the local community and highlight the benefits of the arts world and the business world working in partnership, said Heather Carr from Arts & Business NI.